Tooshay Pomeranians was founded in 2008. "Hear my soul speak. Of the very instant that I saw you, did my heart fly at your service"
- The Tempest. Act 3, scene 1.
and am very gratified to have bred, trained and presented many champions. I do, and always will, strive for… Excellence in the Breed. as “The Heartbreaker” breed for many various reasons. My Pomeranians are a huge part of my life, and live as such. 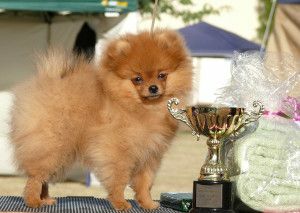 Tooshay Pomeranians has attained numerous Awards, including… BEST IN SHOW at all breeds shows. in the South East and Far North Qld and NSW. I am honoured to have been the inaugural President of the Central Qld Toy Dog Club and have been involved on the Rockhampton Kennel Club's Executive Committee, as their Treasurer, and as an active volunteer for many years. I actively encourage and support newcomers to the world of Conformation Dog Exhibition. 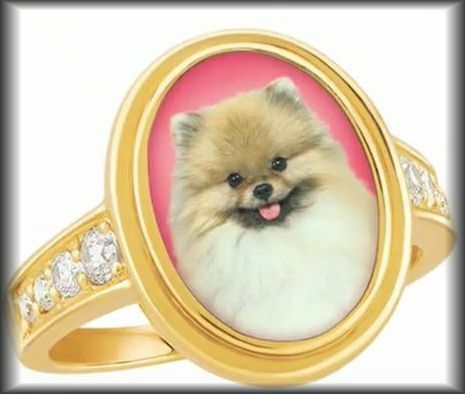 Tooshay Pomeranians has been chosen to canvass Pomeranians owned by others. Most of these dogs come to me as baby puppies and are trained, handled and presented as show dogs from this tender age. They are provided a place in our home, with us, and in our hearts. These consignments are usually for a period of 12 months (or longer) to attain their Australian Champion title. For any newcomers to showing dogs, I highly recommend attending as many dog shows as possible, and joining both your local and national breed club. I became the founding President of the Central Queensland Toy Dog Club and enjoyed this role. 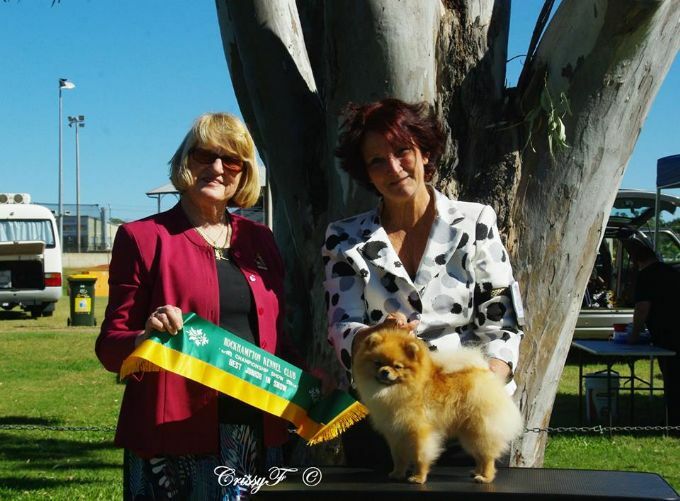 I am also an active committee member with our local kennel club and I am a current member of both Breed Speciality Clubs for Pomeranians in Australia, the NSW Pomeranian Club and more recently, The Qld Pomeranian Club. 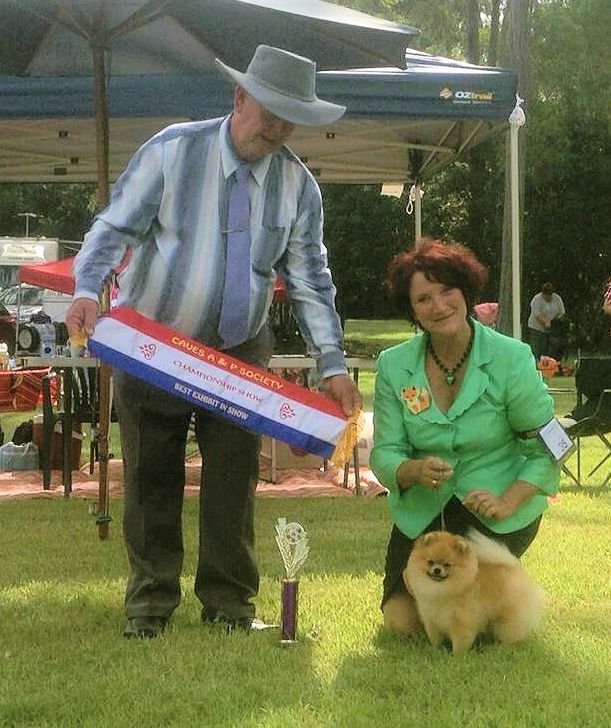 I was able to attend my first NSW Pomeranian Club Speciality Show held in Sydney in 2009, another unforgettable experience that confirmed we do have many top rated Pomeranians here in Australia! "Raised with love and owned with Pride!" Providing ongoing support & a Pomeranian Information Booklet to puppy owners. Follow me on Facebook! Click on the dancing Pom above.